In the artist’s words “I am a creative, though at times a frustrated ‘wanna be’ painter, who thanks the stars for digital technology. The purist will frown at my interpretations, but in my world, all is not as you first see it! I am deeply inspired by Nature and Eastern Philosophy. When I work with paint or with molten glass, I am reminded that everything is fluid and impermanent. When I take photos in nature, I am aware of the moment. Creating art gives me a sense of harmony, peace and a big smile. My philosophy is that I am here to learn, and I am constantly evolving from each piece or technique that I use. I have always had a need to have my creativity come out in one way or another. I can take something that is going to be recycled or thrown in the landfill and melt it into its next life: a sculpture, an ornament or sun catcher, or a piece of jewelry. Linda Rutherford displays photos from her world travels. Betsy Harms collaborates with her daughter to make jewelry. She also manages the Gallery Host Calendar. I've always been interested in art, the old masters style in particular. It's exciting to work with oils because of their rich colors. By mixing my own, I’m able to use a limited palette, and oils are a forgiving medium. My goal is to create paintings that viewers can identify with, whether it reminds them of a favorite place, or triggers a fond memory from the past. My painting started out as a hobby but has grown over the years, and I feel fortunate to have great art teachers. ​​All along, I have kept my hands involved with arts by remodeling a series of my own homes, and doing woodworking, drawing, and painting. Carving became an obsession in the mid-90’s, focusing initially on NW Indian totem images based on my interest in Anthropology. Developing my own carving style has resulted in a variety of wood sculptures ranging from realistic fauna and buildings, to the fanciful. Randall Reid is a longtime member and past president of the League. He hosts the gallery once a month, and shows a few of his ceramic pieces. He teaches pottery classes on weekends. Rebecca Ellis' paintings reveal her confidence. Multi-talented, she is involved in many community activities. 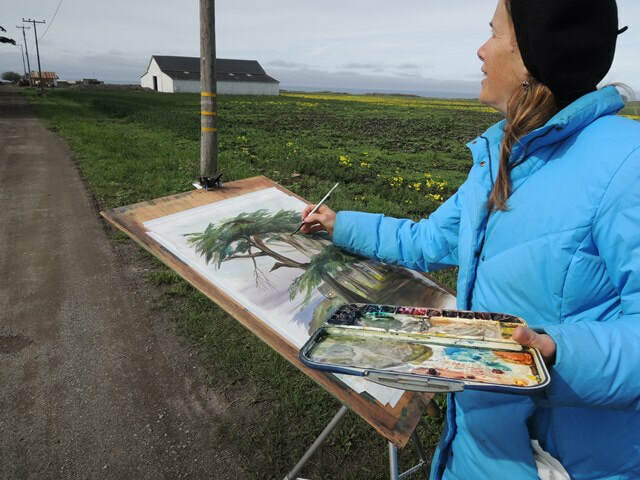 work is prolific, and her landscapes celebrate the beauty of creation. One can see more than 50 of her paintings in the Artists Collective. 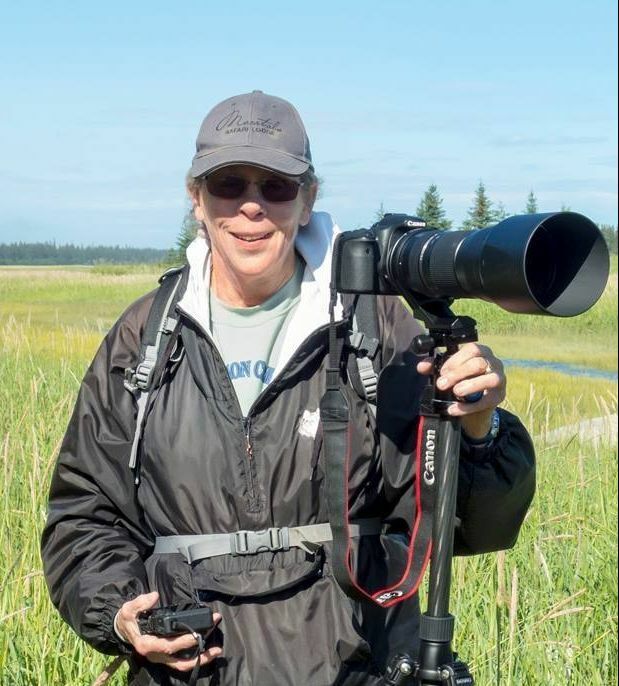 Peggy Bechtell is a local Coastside photographer. She is a member of the Peninsula Camera Club, and shows her work in other local venues. Ellen's gift items include giclee prints on canvas, mugs, and jewelry. You can find many of her works on her website. 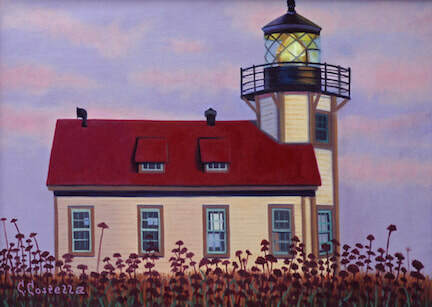 is a well-known local artist whose seaside paintings grace the walls of many homes and businesses on the Coastside. Ellen is installing some of her original works in the Coastal Arts League Gallery Store. Anne Grauzlis serves as Gallery Host. 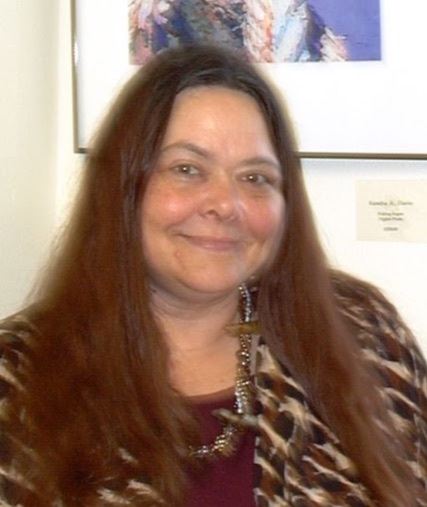 Patricia Keefe is an alumnus of the University of San Francisco. She received her B.A. in Art and her M.A. in Sculpture and fine Arts. Her work has been described as surreal, whimsical and metaphoric, each piece described as one of a kind. Whether the work hangs on the wall or stands free, she continually experiments with new ideas and material. 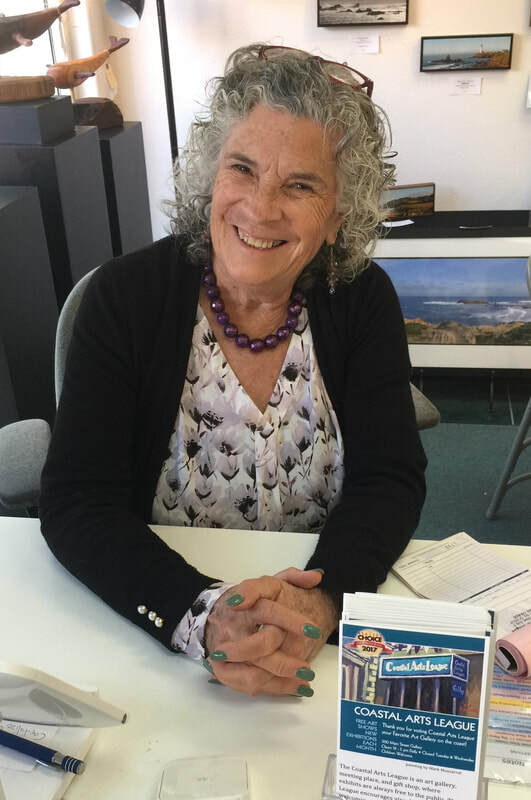 She is actively involved with the Coastal Arts League, The Sculptor's Guild, The Women's Caucus for Art and several other art organizations. 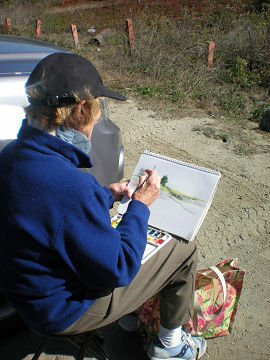 Kendra Klauber Davis, a resident of Moss Beach for 30 years, was an artist all of her life. Sculpture, painting, pine needle basketry, jewelry, printmaking, ceramics and photography are Just some of the media she works in. 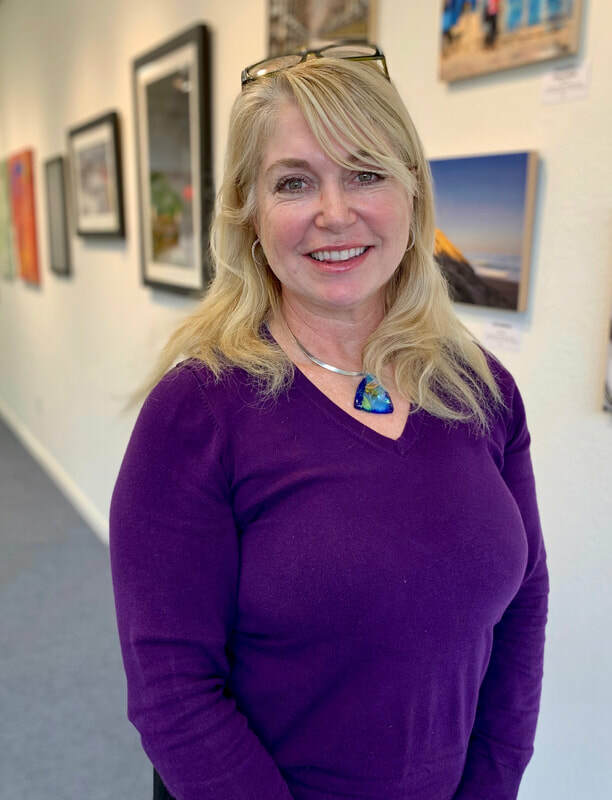 Kendra was an award winning artist for most of her career including the San Mateo County Star Arts Award, Grumbacher Gold Medal in Painting, plus numerous Best in Show Awards and Gold Medals. Many of her baskets and jewelry can be purchased in the gallery store. Thomas Goodson has been creating sterling silver jewelry for the last 20 years. Thom studied ironwork at Salem College, in West Virginia, in the late 70’s, and worked as the Village Smithy at Fort New Salem from 1977 to 1980. ​With a degree in Chemistry, Thom laid his hammer down and went to work in the pharmaceutical industry, but the love of working with metal never left. Thom moved to California, in 1996 with his wife Jane. Here he taught himself jewelry making, using the old blacksmithing skills, and seeking new skills through books and mentors. ​About her photos, Jane says, "I attempt to capture the ephemeral beauty of nature. Nature evokes an emotional response, a meditation, for one who takes the time to observe her small expressions within a large and noisy world.